Remember being a teen dealing with acne and thinking "at least I'll grow out of this..." Umm, yeah. No. It doesn't quite work out like that. 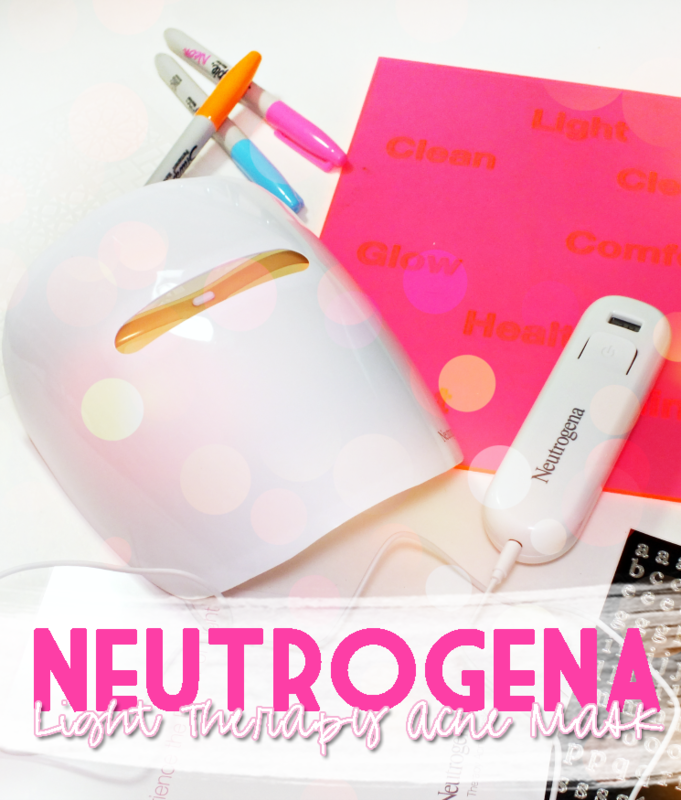 Granted, I don't breakout the same way I once did, but I still deal with acne from time to time, so I was super intrigued by the new Neutrogena Light Therapy Acne Mask. 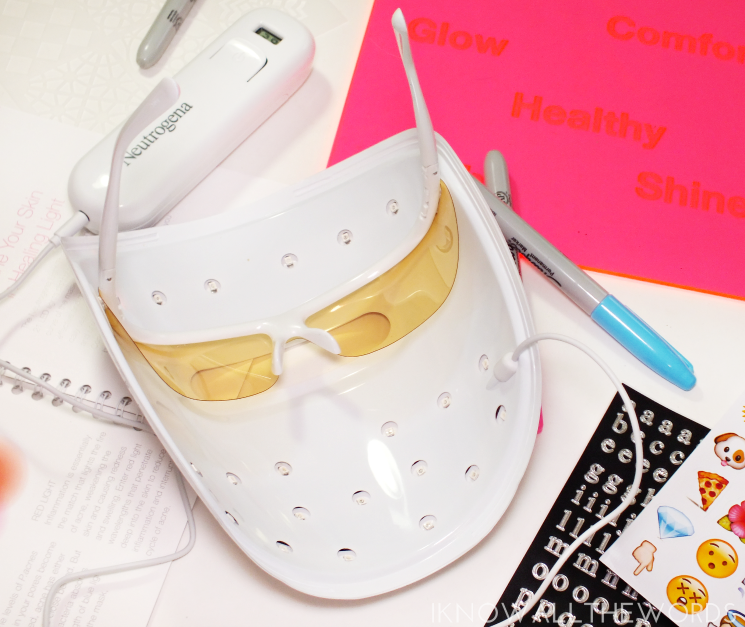 Designed to treat mild to moderate acne, the space-age looking mask utilizes the power of light and offers an alternative to harsh chemical treatments. The inside of the mask features a highly reflective surface to allow for enhanced reflection of the 12 blue and 9 red LED bulbs onto the skin which make up the treatment. The mask glows a soft pinky-hue during. 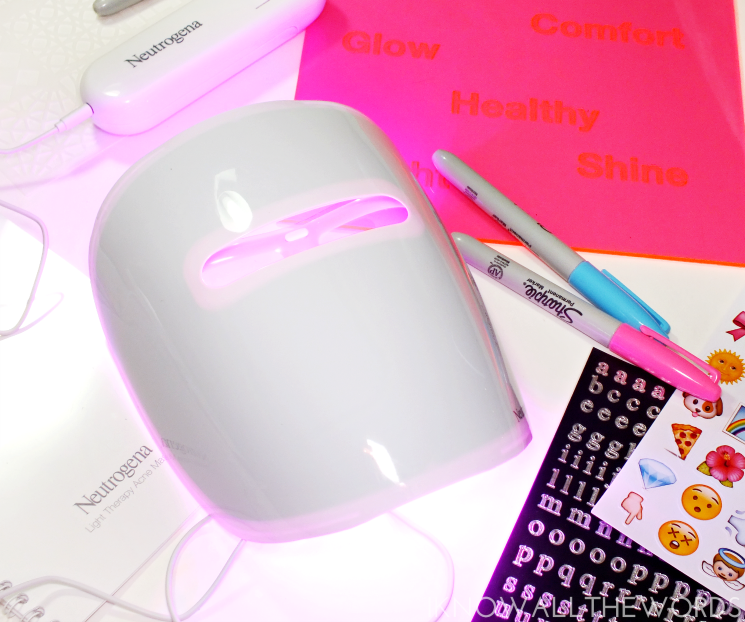 It really is a simple process, as you simply pop the mask on for ten minutes (at which time it automatically turns off) and let the light do all the work. 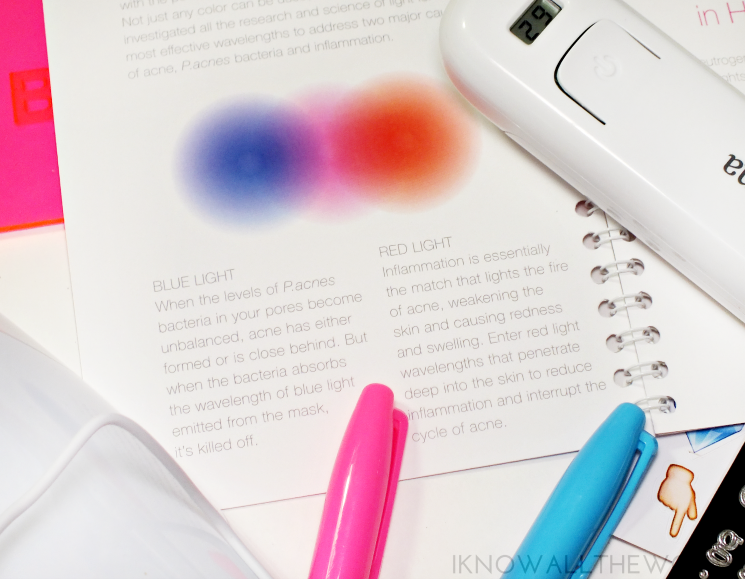 The blue light works to damage (and effectively kill) the bad bacteria that causes acne (aka P.acnes) When the blue light from the mask is absorbed, it produces a free radical that damages their own cell membranes, causing them to self destruct. The red light, on the other hand, works to reduce inflammation, another key element of acne that leads to redness and swelling. The red light disrupts the cycle of inflammation and reduces hyperkernatization, a pore clogging factor that contributes to acne. As mentioned, the mask uses an activator (a remote) to power it. 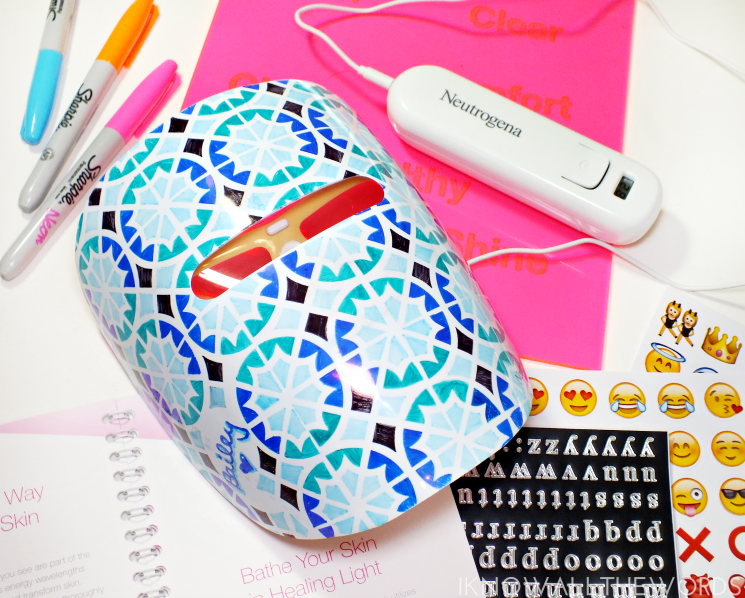 It plugs into the mask and is loaded with 30 sessions. It runs via four AA batteries (they're included!) and the activator can be replaced once you've used the first 30 treatments (or a month's use, as it is recommended to use the mask daily.) The little screen counts down your sessions so you can easily see how many are remaining. The only downside I found to the activator, is that there is no way to pause a session other than stopping it and restarting, thus using two sessions. So, does it work? I think so! As I mentioned, I don't deal with acne constantly, but I did use the mask during time where-in my skin was acting up and is known to act up (aka that special time of the month) and found the number and severity or blemishes was reduced. I love that the mask is completely skin-friendly, as it's chemical-free and doesn't damage skin in any way (like the usual dryness that can come from traditional treatments.) 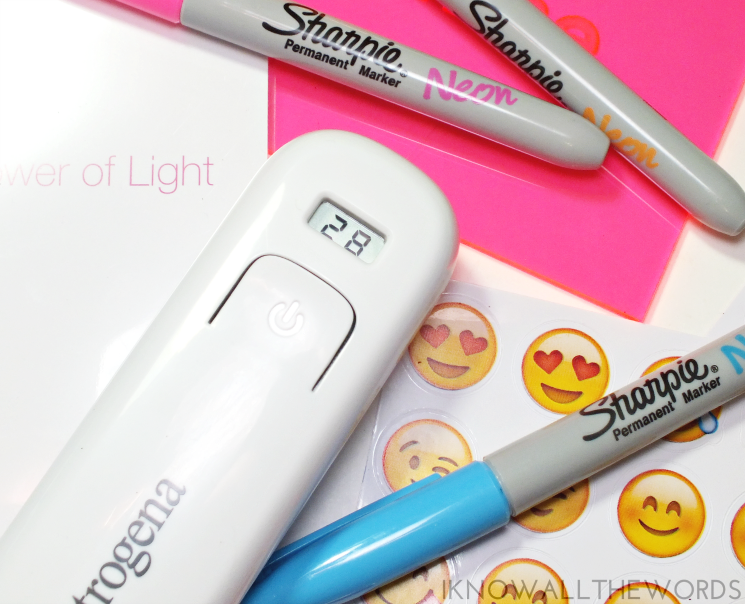 This will make an excellent product for teens or those dealing with more constant acne. Plus, all you need is a Sharpie or two and you can customize you mask if the all white is a bit too bland for your liking. What do you think? Could you use this mask in your life of know anyone who could?